The online learning resource we've used to enhance math instruction for some time has arrived to the iPad with the launch of Mathletics Student. This new iPad app is free and requires a student login and password. Curriculum activities are downloaded right into the app with all points and credits automatically syncing with the student's main desktop account. The 4th grade students were excited to begin using it and were impressed by its cool new look. They started working in the Live Mathletics window immediately and eagerly awaited their opponents. Many of them were fortunate enough to play each other and it really got them excited about practicing their math facts! Although they were a little bummed out that they couldn’t change their avatar on the app, I assured them they could do that at home on their computer now that they had their login information. 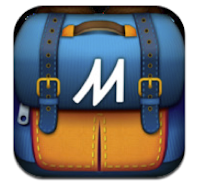 Overall, the app is a big improvement from using the glitchy Rover app that we used previously to bring Mathletics to the iPad. Unfortunately, unless the software developers start making the “courses” available it can only be used for math facts and there are plenty of other apps out there for that. Despite the cool new look and feel, there are many enhancements that need to be made in order for it to effectively enhance our current math curriculum.